I finished this quilt. It’s very long. It hangs off the other end of my intake table. I did weaving feathers on the outside border and curls on the inside border. I did line dancing on the pieced area. 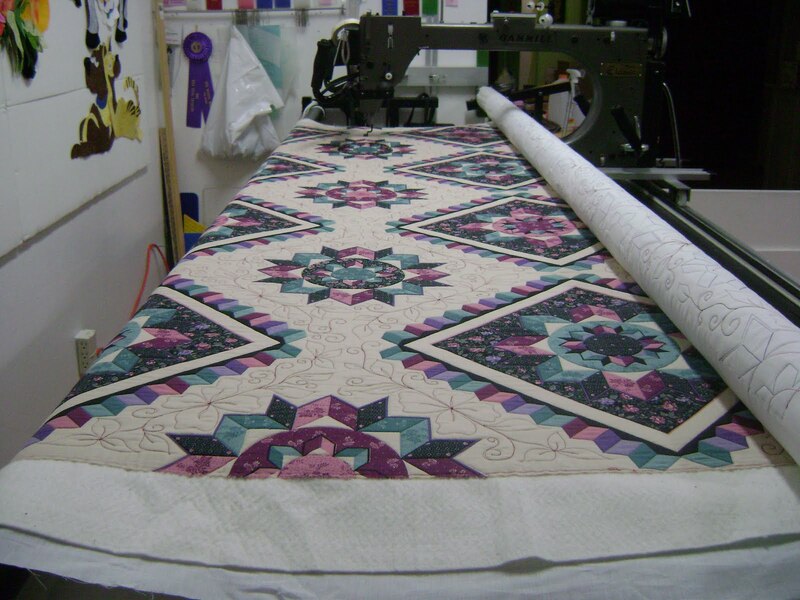 When I finished that quilt, I decided to put my door quilt back on the machine for a little while. 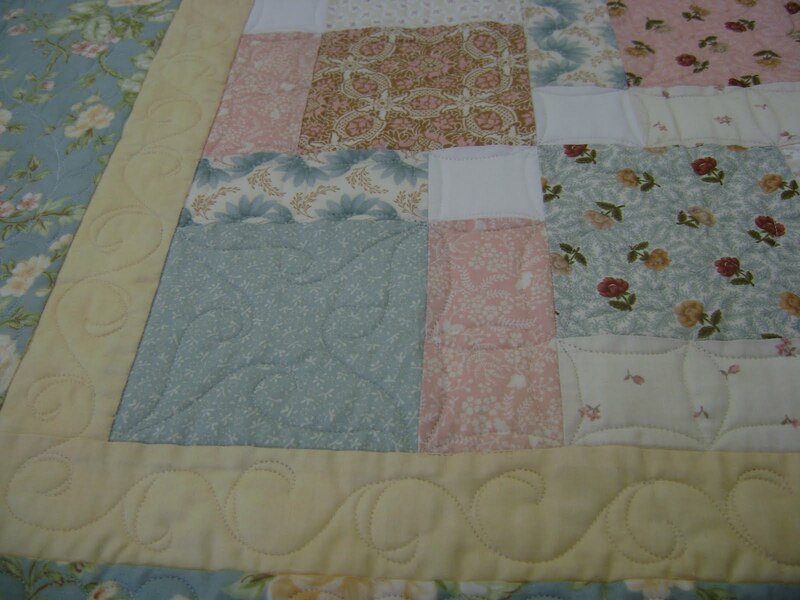 I’ll work on it just a bit today and then get another customer quilt onto the machine. I also took some time from my day to put the plants into my little garden. I still want to put a flower or two there too. 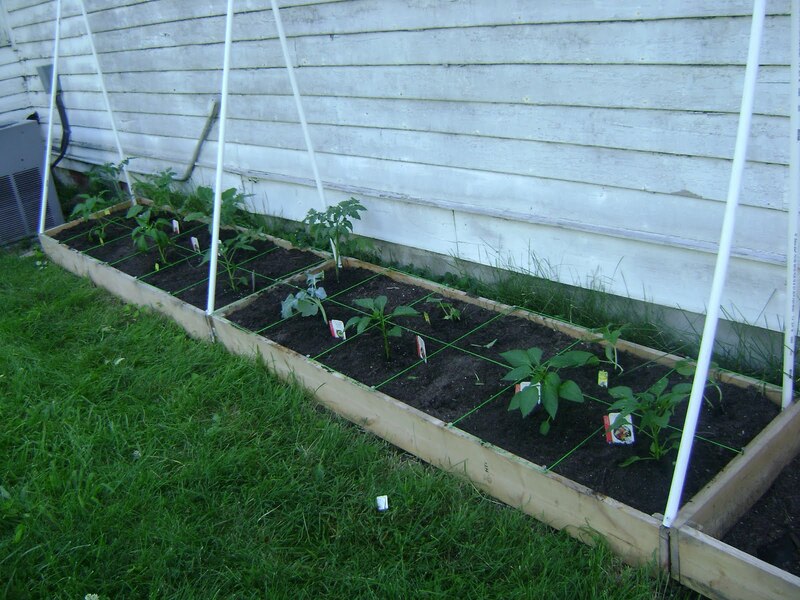 There’s one more box that needs dirt before I plant anything in it. The nice thing about being semi-retired is that I have time for me projects again. It feels really good. I’m slowly getting my rhythm back after my daughter’s move. 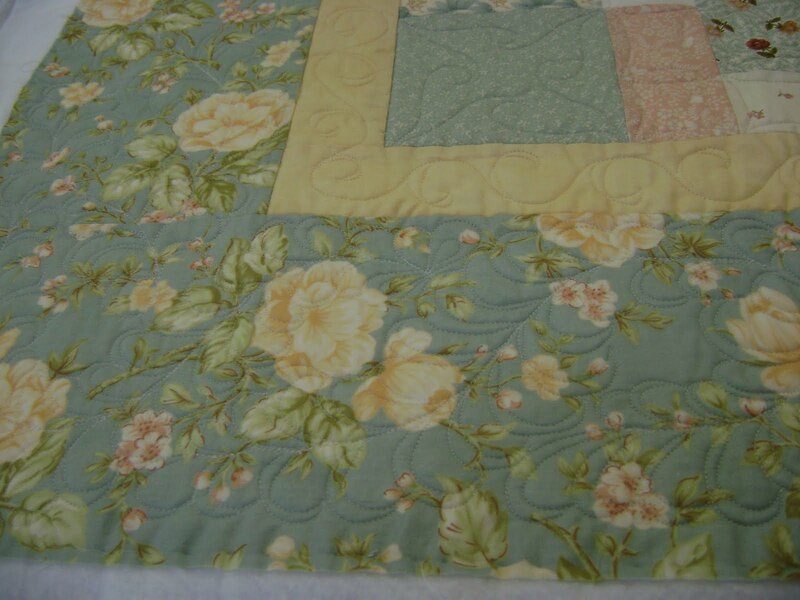 I work on customer quilts in the morning and work on me projects in the afternoon. I started pulling boxes out of a closet late yesterday. Its nice to spread out and get reacquainted with all the fabrics and supplies I have boxed away. The nicest thing is that I don’t have to be in a hurry to pull stuff out. I can do this at my own pace. 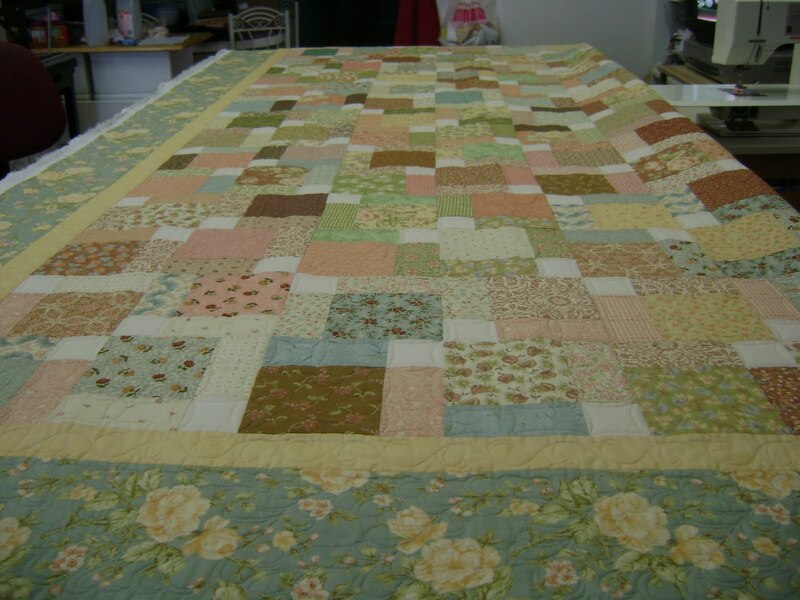 This entry was posted on May 26, 2010 by Anita in Customer quilts 2010, QUILTS - CUSTOMER.